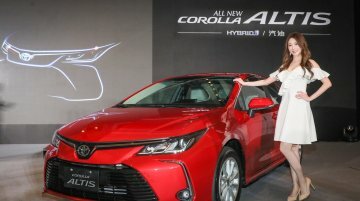 The twelfth-gen Toyota Corolla Altis was said to arrive in India in 2020. 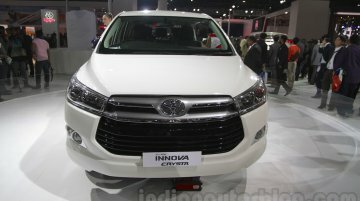 However, neither the all-new model nor its Maruti Suzuki version is coming here, as per a new report from The Economic..
At the start of the next week, Toyota Kirloskar Motor will roll out the MY2019 update to the Innova Crysta and Fortuner. 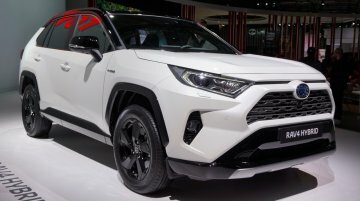 The company will refresh the interior and introduce new features with this..
Toyota Motor is showcasing the 2019 Commuter (2019 Hiace Commuter) at the 40th Bangkok International Motor Show. 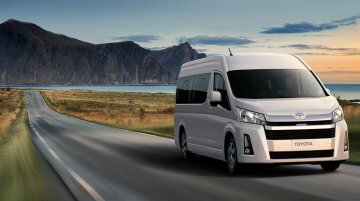 This marks the local premiere of the sixth-gen Hiace, which was introduced in January.. 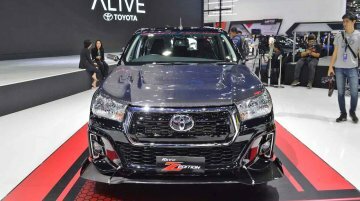 The 2019 Toyota Hilux Revo Z Edition Black Mamba has been displayed at the ongoing 2019 Bangkok International Motor Show. Inspired by the "Black Mamba” - a species of one of the most lethal and.. 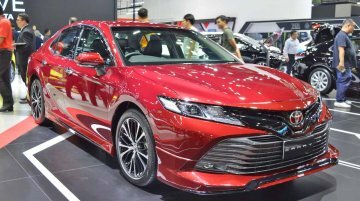 The 2019 Toyota Camry, which went on sale in Thailand in October 2018, has been showcased at the ongoing Bangkok International Motor Show. 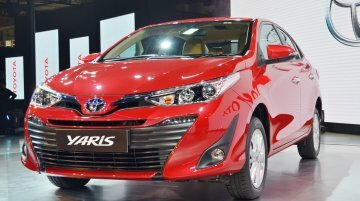 In Thailand, the Camry has been on sale in a price bracket of..
With an average monthly sale of merely 450 units (from Sept 2018-Feb 2019), the Toyota Yaris appears to have run out of steam in the race to become the best-selling C sedan. No surprise then, that,.. 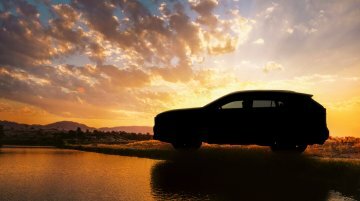 In a joint release, Toyota and Suzuki recently announced their agreement to start considering a higher degree of collaboration to leverage each other's strengths. 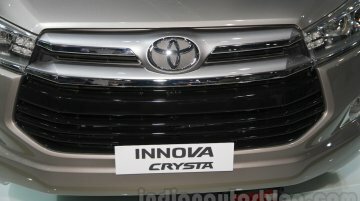 As a part of this plan, the two..
Toyota Kirloskar Motor has introduced a new base-level trim of the Innova Crysta. 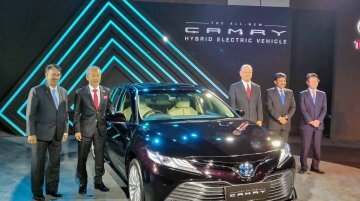 Dubbed 'G Plus', the new variant of the company's best-selling model, which has a monthly sales average of 6,352..
Toyota Kirloskar Motor has received more than 400 bookings for the 2019 Toyota Camry Hybrid. 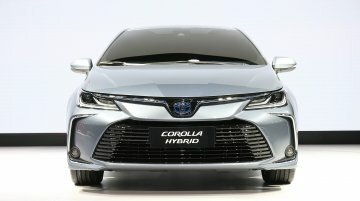 It had launched the tenth-gen model on 18 January 2019. 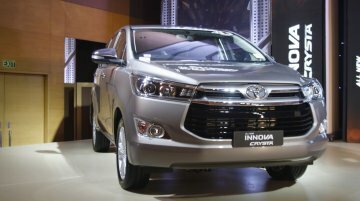 To meet the new CAFE norms by 2022, Toyota Kirloskar Motor will expand its Hybrid Electric Vehicle (HEV) range and launch a Plug-in Hybrid Electric Vehicle (PHEV), as per a new report from The.. 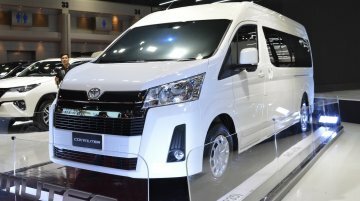 The sixth generation Toyota Hiace had its world premiere in the Philippines today, its first market worldwide. 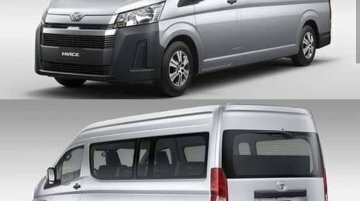 We have no confirmation but Toyota Kirloskar Motor could launch this model, thanks to the..
Update 2: Official images of the 2019 Toyota Hiace have leaked online. 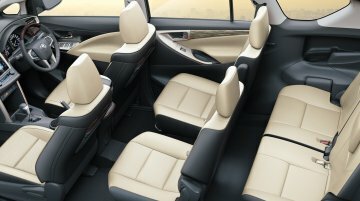 The latest images show even the interior of the upcoming model. Image gallery at the end of the story updated with new.. 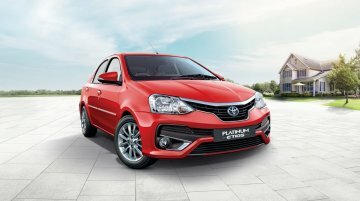 The popularity of C-segment passenger vehicles in India is gradually increasing, particularly because of SUVs like the Hyundai Creta, Mahindra XUV500, and in recent times, the Jeep Compass and Tata.. While we have seen many modified Toyota Fortuner SUVs so far, the one from Executive Modcar Trends takes the cake with its enhanced looks. 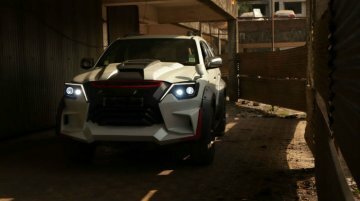 This modified Toyota Fortuner is based on the.. 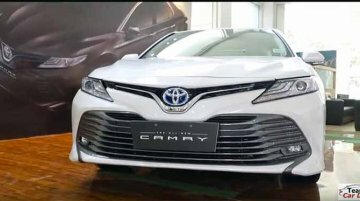 The 2019 Toyota Camry Hybrid went on sale in the country in January 2019. The tenth generation of the globally-acclaimed sedan is underpinned by the TNGA-based GA-K platform and is priced at INR..